Recently, the FBCC&C newsletter was re-vamped. It has been sent out to all of the OARBC churches (as well as any non-OARBC and/or out-of-Ohio supporting churches of the various missionary staff…Mike & Sherri Vanek, Jackie Hopkins, and John & Laura Niemeyer). We have asked the churches to either post the newsletter in a visible location and/or to make copies available for distribution to interested individuals. Or you can read it here on our website by clicking on the following link: Center Newsletter. We will send the newsletter out four times per year. It is our hope that it will keep the church and Center ministries in front of many other churches. If you’d like to give (a one-time gift or ongoing), volunteer (individually or as a group), or pray for the ministries, we would certainly appreciate it! We also have projects for which we are seeking funding. You can find those listed on the “Building Projects that need Funding” page. Have any questions? Contact Mike Vanek, Ministry Director at mvanek@freehope.org or at (216) 881-8816. Come be part of these activities!!! Call (216) 881-8816 for more age and registration information! Norma Nulph is retired. 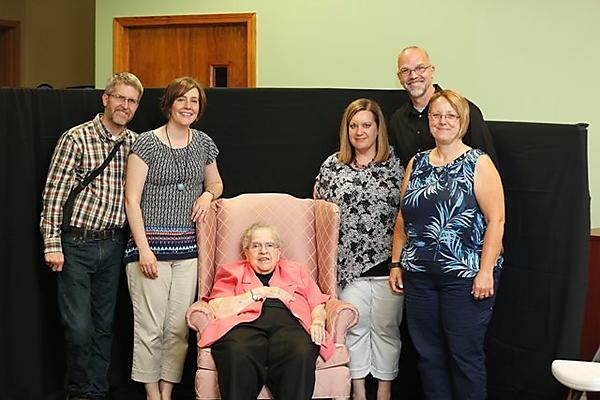 On June 16, 2018, the church and Center hosted a retirement reception for Miss Norma in honor of her 55+ years of service in inner-city Cleveland. Many people attended the open house including staff, past and present volunteers, members from supporting churches as well as friends and family. It was a time of celebration for all God has done at Faith Baptist Community Church & Center through the faithful testimony and ministry of Miss Norma. John and Laura Niemeyer joined our missionary team in 2017. John is assisting with some preaching, developing a teen program, planning evangelism and outreach activities, and overseeing building and grounds maintenance. Laura is working with the women’s ministry, teaching children’s church and Sunday school, and filling other gaps left by Miss Norma. Jackie Hopkins joined us back in 2009 and is still working in the area of children’s ministry. We are thankful that, while the “guard” sometimes changes, the message of “not just help, but Hope” in Jesus Christ stays the same!